Five Democratic lawmakers have asked Gov. Greg Abbott to form a task force to consider the appropriateness of Confederate monuments located on the Capitol grounds in Austin. Editor's note: This story has been updated with comment from Texas House Speaker Joe Straus. Requests for comment from Abbott and Patrick were not returned. A spokesman for Straus said the speaker "looks forward to visiting with these legislators about their concerns and would welcome a discussion with them and others about all monuments on the grounds of the Capitol." 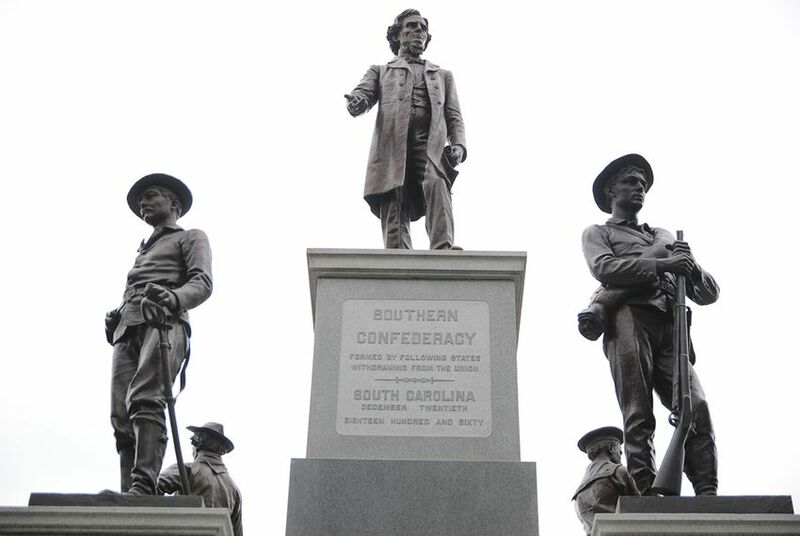 In the letter, the lawmakers cited the need to assess certain markers — including a plaque in a first-floor corridor of the Capitol honoring the “Children of the Confederacy” — that “assert the outright falsehood” that the Civil War “was not a rebellion, nor was its underlying cause to sustain slavery." Momentum around the removal of Confederate monuments and symbols across the South has picked up since the fatal shootings last month of nine people inside a historic black church in South Carolina. The man charged in the shootings, Dylann Roof, was reportedly influenced by white supremacists and posed with the Confederate flag in photos. "The State Capitol is the public face of Texas, and as such it should be equally welcoming to all Texans," the lawmakers wrote. "Texas should add its voice to the states across the country already thoughtfully discussing whether state governments should laud the Confederacy and the fundamental wrong of one human owning another." The request to the governor comes two weeks after the University of Texas at Austin announced the formation of a task force to consider the future of Confederate statues on campus. Additionally, 28 public schools in Texas are also named after Confederate leaders, which have prompted cries for change from civil rights groups, some school leaders and parents.